For example, in the picture above from my current study Bible, I marked the words “prayer” and “supplication” with a red underline that sweeps up and to the right and ends in an arrow. I choose meaningful symbols. For example, I use red on prayer words because that color is traditional associated with the Holy Spirit. The symbol points up because our prayers are directed toward God. When marking people, I always mark pronouns and descriptive synonyms associated with those people. See for example, the references to “brethren” and other associated words all highlighted in light blue in the photo above. 3. DON’T: Trust your memory for recalling all of your symbols. DO: Put your symbols on a notecard or in the cover of your bible. When you are beginning you will have trouble remembering symbols you select. A note card as a reference guide can help you recall and be consistent in how you mark your bible. Over time you will start to forget or confuse symbols if you don’t have them recorded somewhere. Another option is to record these in the cover of your bible. This is an intensive process that I only do when I am studying a book of the Bible in detail. 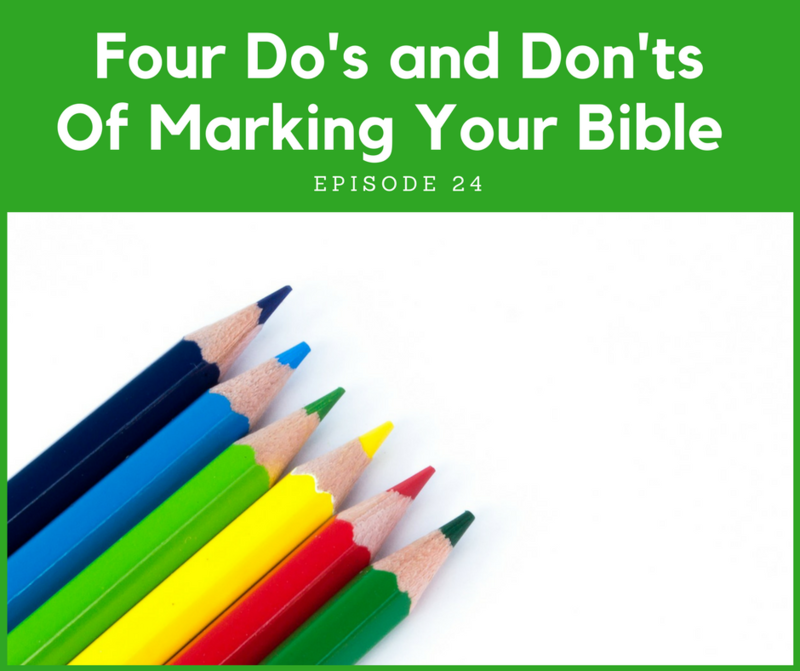 If you are unfamiliar with this method you may want to pick up one of Kay Arthur’s inductive Bible Studies or skim the introduction of The New Inductive Study Bible” I essentially follow Arthur’s marking method. 4. DON’T: Mark everything at once. DO: Read a passage repeatedly focusing one or two items at a time. When I first started marking I was looking for anything and everything I could mark. I could barely read the text doing this. Now when I am reading, I will go through the text and watch for may be one or two things, for example, any references to God and the audience. Then perhaps the next time through I am looking for time and place references. Once I’ve been through the text a couple of times, I start to pick up on key themes. You get the idea. You can’t watch for 8 or 10 or even 5 or 6 things at once. This is far too distracting. Pick just a couple of items otherwise, the process will overwhelm and distract you from the content, instead of illuminating it. 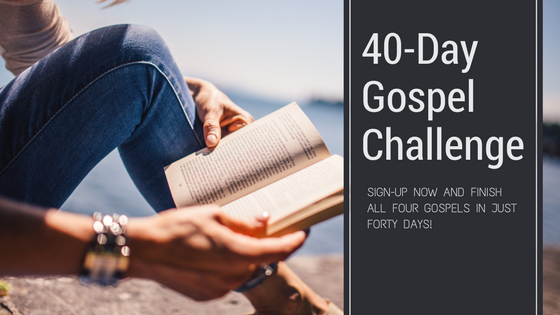 Read through the four gospels in just forty days. This isn’t an overly burdensome challenge to take on. You only need to read two to three chapters of scripture a day. I have put together an easy-to-follow reading schedule for you, plus some supplemental resources to help you have a more profitable time reading the gospels. A daily reading chart so you know EXACTLY what to read to complete all four gospels in just 40 days.